Robin Wood’s appreciation of director Satyajit Ray’s most famous work, the Apu Trilogy, has been long out of print. 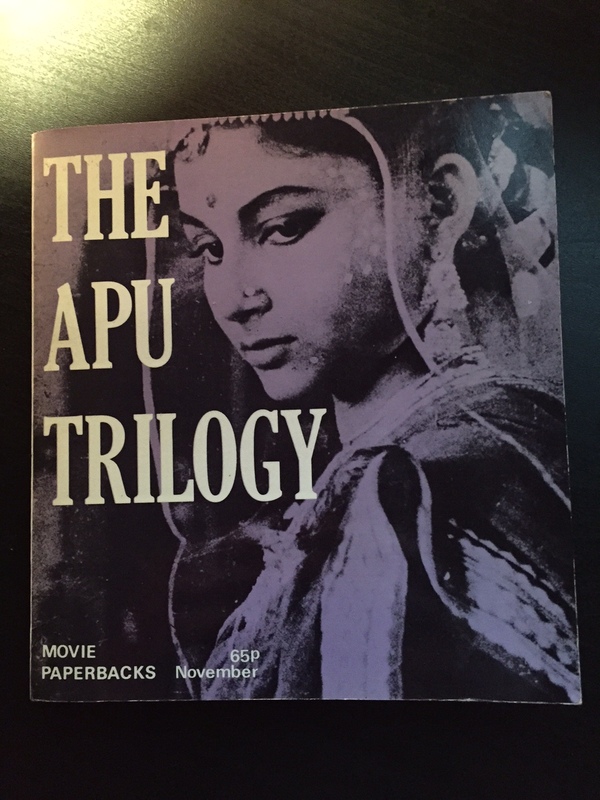 Wood’s groundbreaking study, first published in 1972 in the UK, was one of the first serious critical readings of the Apu Trilogy. It is almost impossible to find a copy of Wood’s book today or overstate its worth. More baffling is the fact it has never been reprinted since 1972. Robin Wood has always been one of my favourite film writers and the Apu Trilogy features some of his sharpest writing. Since 1972 the Apu Trilogy has been written about in many different ways. A rich critical discourse has appeared around Ray’s most popular films. Robin Wood like Marie Seton and Andrew Robinson were some of the first writers to bring the work of Ray to the attention of film academia: ‘Ray has himself stated unequivocally that the best critical writings on his films have appeared in the West’ (p. 8). I’ve read a lot of books and articles on Ray, and have also published some writings on Ray. Having finally read Wood’s book I feel somewhat horrified that I have written about Ray without using Wood’s work as a point of reference. Wood’s analysis of The Apu trilogy is still one of the best, if not the most profound I have come across. There is no doubt that Wood’s study is a key and definitive text on not just the Apu Trilogy but also on director Satyajit Ray. It certainly has one of the best introductions you will likely to come across arguing for the need to take Ray’s work seriously, comparing him to both Renoir and Rossellini, arguing his ‘desperately old fashioned’ (p. 9) approach to filmmaking, redolent of classical Hollywood cinema, showed an unparalleled economy to storytelling. At the same time Wood describes Ray’s work as both ‘literary’ and ‘innovative’. A point of literary comparison Wood pinpoints The Rainbow (1915) by D. H. Lawrence: ‘Apu’s progress through the trilogy to some extent corresponds to the movement from the comparative stability of the Marsh farm’ (p. 17). Furthermore Wood recognises the ‘musical aspects’ of Ray’s cinema and how this clearly shaped the rhythm of his films. 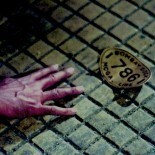 The role of music in communicating themes and telling the story in Ray’s films is an area of scholarly interest that is still ignored. Wood’s approach is a predominately text based study of the Apu Trilogy (old fashioned film analysis at its finest), elucidating the complex relationship between mise-en-scene, camerawork, sound, editing and performance that marks Ray as the most astute of directors to be able to articulate the most multifarious of designs in an often misunderstood simple film style. ‘For Ray, death is not so much a mystery as a terrible fact, something one has to learn to live with rather than a final judgment and challenge that abruptly and mystically changes one’s whole perspective’ (p. 83). ‘the justification for the very slow tempo is that Ray is not trying to tell us things but to communicate a total experience: the film invites us to steep ourselves in the characters’ feelings and live-through their conflict to its outcome rather than take an intellectual ‘point’ (p. 50). In fact, Wood is suitably impressed with the second half of Aparajito especially the last act when Sarbojaya and Apu return to the village, arguing ‘the universality of Ray’s concerns is nowhere more evident’ (p. 51). ‘the train, once magical objects of wonder, are now commonplace, a part of the city’s squalor’ (p. 64). ‘The cumulative effect of Ray’s films is somewhat like that of Rossellini’s – felt especially at moments when a decision is reached and the whole weight of the film sensed to be behind it’ (p. 72). ‘The film ends with him seated on Apu’s shoulders as Apu walks away towards the future. In accepting the child, he has accepted life, has accepted the death of Aparna. Whether or not he is going back to become a great novelist is immaterial: he is going back to live’. One cannot help but think about Antonio and Bruno at the end of De Sica’s influential Bicycle Thieves, holding hands as they join the crowd. Scorsese & Jones describe it as one of the most precious moments in film. We could the same about the ending of the Apu Trilogy. This entry was posted on August 14, 2015 by Omar Ahmed in apu trilogy, Bengali Cinema, Book Review, Indian CInema, Robin Wood, Satyajit Ray.